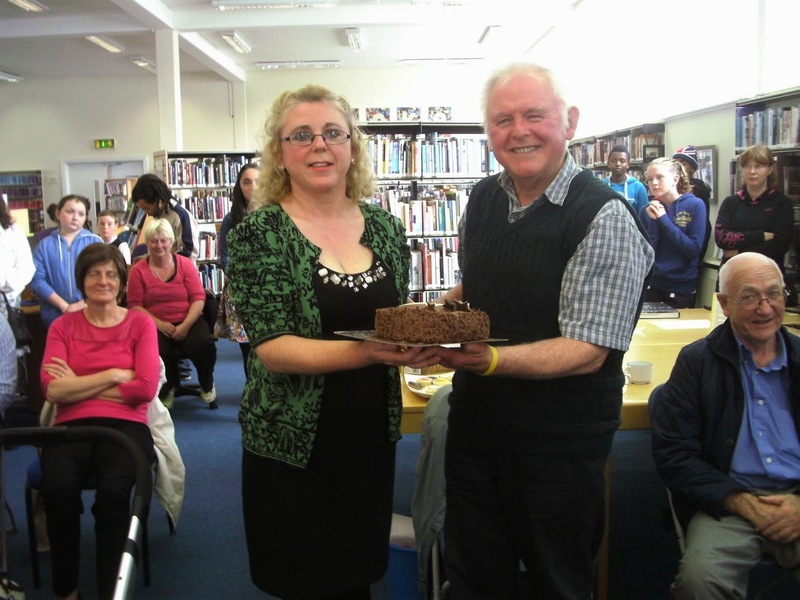 Congratulations to Edel Gillick and the Junior Meath Writers' Group on the launch of their new paper, " News For You " which was launched in Navan library, on Saturday 28th September. 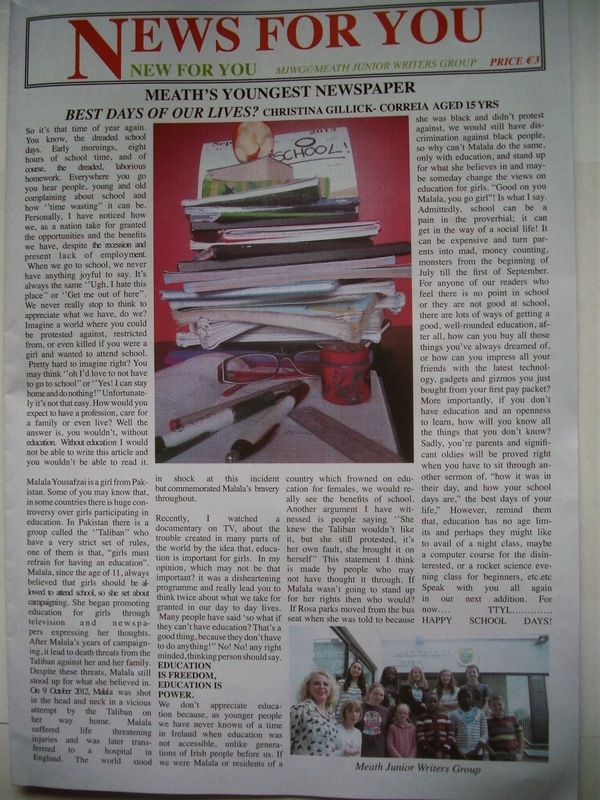 Edel gave an excellent introductory speech when she spoke about the merits of creative writing and education in general and of it's importance to all ages, before introducing some of the contributors to the paper. Gary Rutherford of the Young Carers Association was in attendance and gave an informative insight into the association. John Doyle Of Doyle Photography gave a talk on the art of photography and the importance of recording memories. 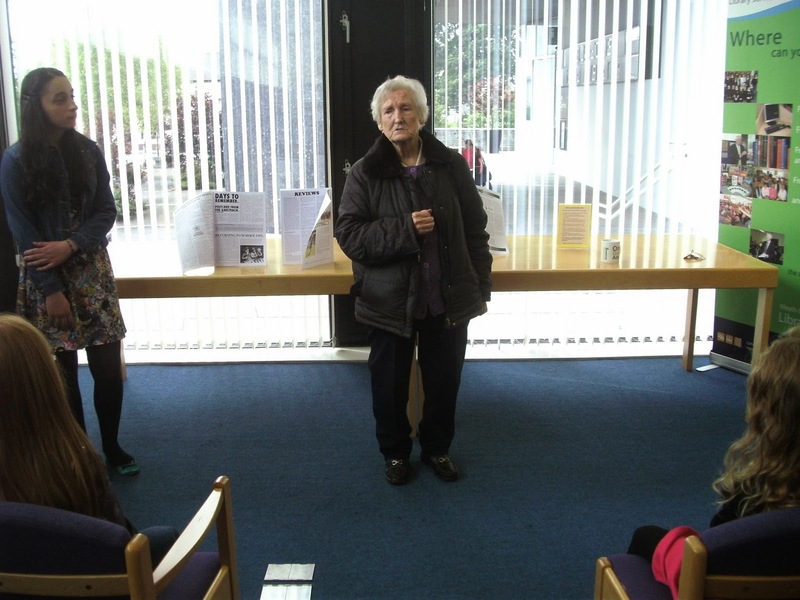 Sean Reilly of the Senior Writers' Group gave a talk on attending school in the fifties and Peggy Murphy recited her poem " The Little House " to an appreciative audience. Sean Reilly, with a smile from ear to ear when Edel surprised him with a cake for his birthday. ﻿Peggy Murphy, reciting her poem " The Little House "